The heat has officially hit NYC and I am now drenched in sweat every time I leave my apt. 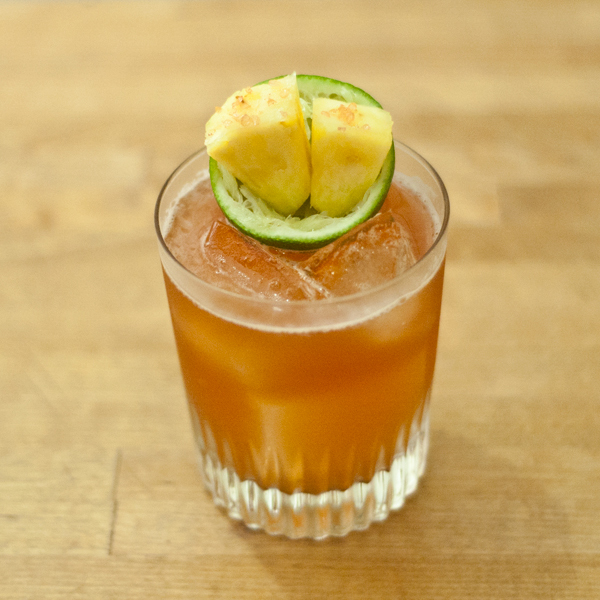 We’re fully into #TequilaSeason and all of the refreshing cocktails that go along with it. Give me shaken fruity drinks on the rocks and give them to me fast! Allow me to say a few words about this garnish: Several months ago, I thought the hallowed out lime half was sort of a lame garnish but then I realized something. People aren’t usually going to eat a Lime Wedge and whenever you’ve got a Lime half, you’ve already added Lime juice to the drink. Therefore, the Lime half is actually the best garnish cause it’s like a little bowl! A little bowl that delivers things you really want to eat with your drink! GIVE THE PEOPLE WHAT THEY WANT! They want fruit! 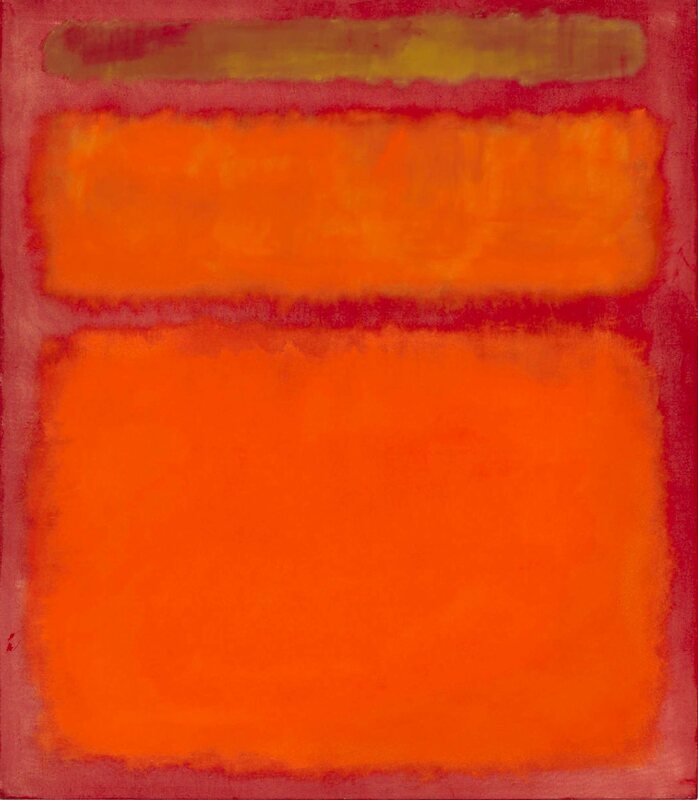 Oh and as far as the name of this Cocktail goes, perhaps the most famous (or at least the most expensive) Rothko painting is called Orange, Red, Yellow and was painted in 1961. The thing about that painting though, the Yellow looks Green. So I was either going to name the drink Orange, Green, Yellow or Rothko 1961. The latter sounds better. Bonus: This is the second drink that I’ve named after a Rothko painting. The first drink is Rothko 1957 with Bourbon, Fino Sherry and 18.21 Saffron Bitters. Y’all know I have a love affair with Casa Noble Crystal Blanco Tequila cause of the Banana and Grassy notes. 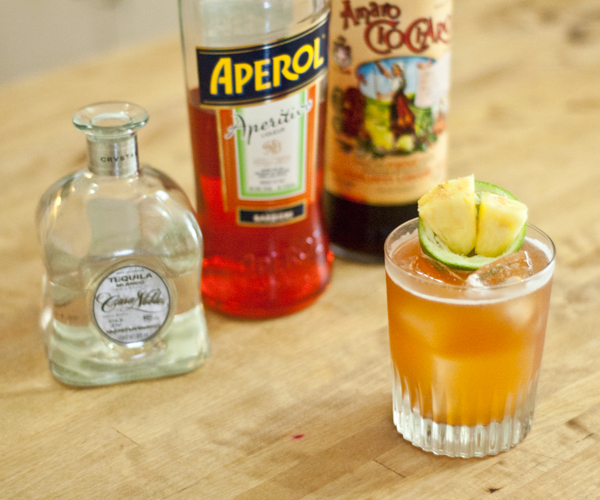 In this cocktail, those notes play so very well with the Orange Curaçao flavour & Grassy notes in CioCiaro and bitter Orange from Aperol. Let’s get crackin! Combine ingredients over ice and short shake. Strain into double Rocks glass over ice and garnish. For the salted Pineapple, just sprinkle a few grains of salt onto each Pineapple chunk. Refrescando, a bit bitter, grassy and totally fruity. Salud! 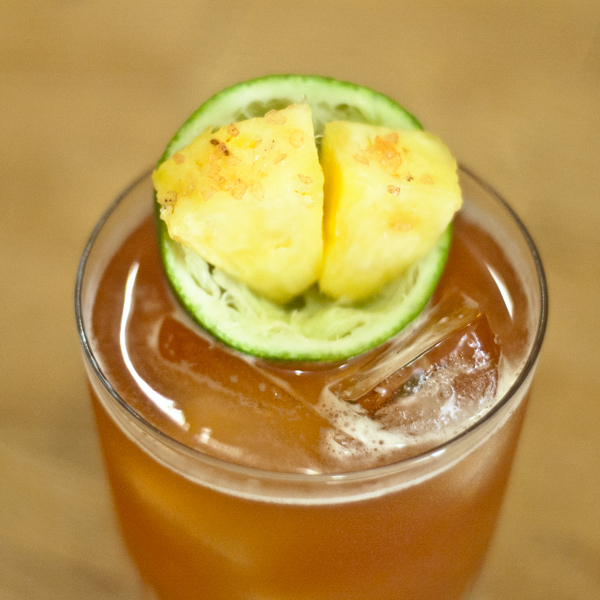 Feel free to tag all of your #TequilaSeason drinks on Instagram! Thanks to the Baddish Group for the Casa Noble Tequila and MBooth for the Aperol.